HMCS Sackville does not dominate the Halifax waterfront the way some large exhibition ships do. However, in her light blue and white North Atlantic camoflague, she is eye-catching and does draw your attention as you walk along Halifax's Harbourwalk. This is all together appropriate for two reasons. First, this small ship played a key role in the Allied victory in World War II. She did not slug it out with an Axis battleship or sink an enemy aircraft carrier. Rather, like many other small corvettes, her contribution was the routine but always dangerous work of escorting convoys across the North Atlantic. If Sackville and the other ships performing this work had failed to keep open the stream of troops and supplies from the New World to Europe, the outcome of the war would have been different. 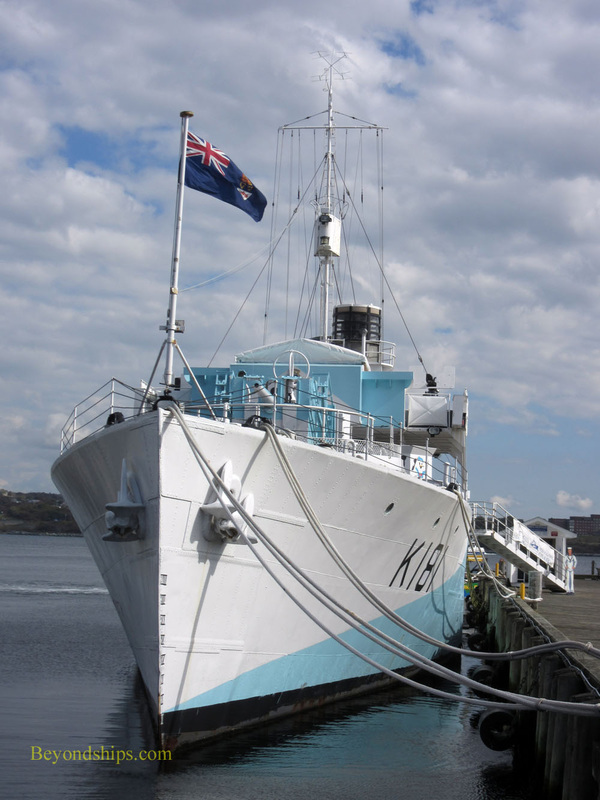 Second, Sackville serves as the Canadian Naval Memorial. She pays tribute to all of the Canadians who have served in Canada's Navy in all the conflicts in which that nation has been involved. That is quite a task for such a small ship but then Canada's naval history has been dominated by sailors braving the enemy and the elements in small ships. Sackville is a Flower class corvette. In fact, she is the last of the 123 corvettes that served Canada during the war. Originally envisioned as coastal protection ships, the corvettes were conscripted into being convoy escorts because there were not enough bigger ships available to protect the convoys. Since they were inexpensive to build, they could be turned out in large numbers. A British design, the name of the class is atributed to Winston Churchill. The thought of Germany's proud U-boats being defeated by ships named after flowers allegedly appealed to Churchill. It, however, did not appeal to the Canadians and so while the British version of this class of ship bore horticultural names, the Canadian ships were named after communities. Sackville is a community in Nova Scotia not far from Halifax. Inasmuch as Sackville is a small ship, it does not take that long to visit. 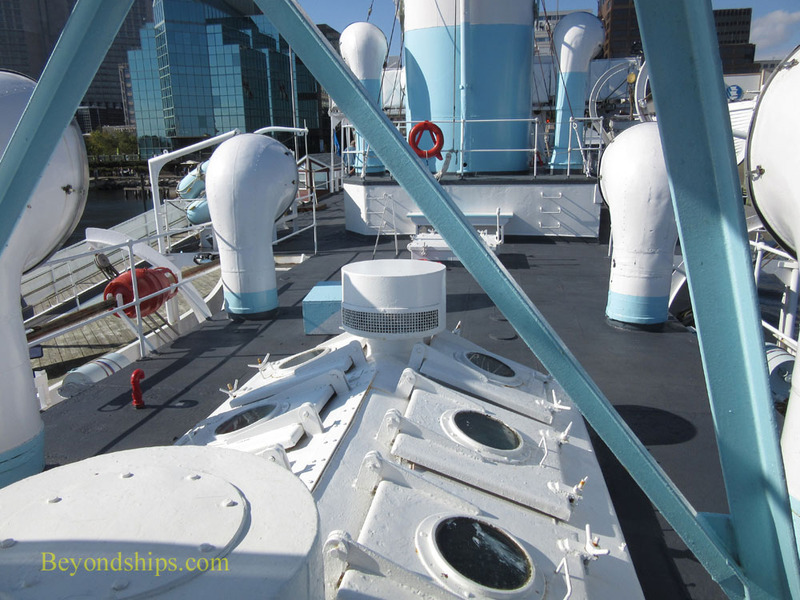 However, walking around the ship, you start to get a feel for the people who went to sea in these ships. In retrospect, tasking these little ships to protect convoys crossing one of the world's most difficult oceans against a well-equiped and determined foe was something of a desperate move. Yet, the crews of these ships - - most of whom had no military experience - - managed to fulfill this assignment. It is an achievement to be honored both for the outcome it produced and for the spirit that motivated it. Above: Crew members painted murals on the ship's superstructure. 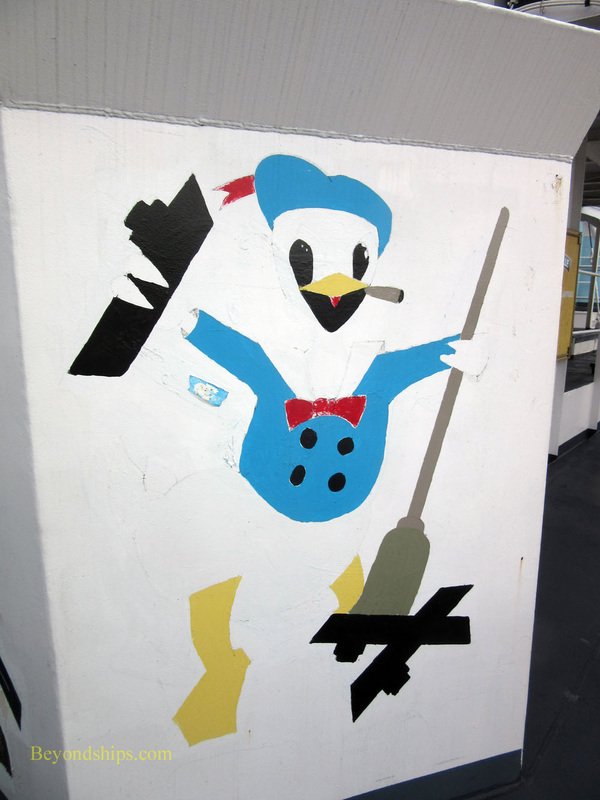 This one shows the ship's mascot sweeping up submarines.